Handsome estate car with big boot. Lovely interior. Plug-in hybrid due late 2019. Not as sharp to drive as rivals. R-Design firm at low speeds. The Volvo V60 doesn't shout about its abilities. 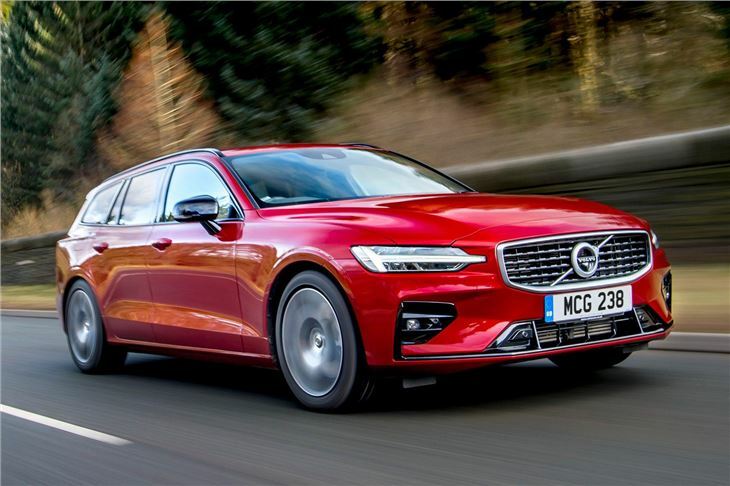 In many ways, it's just a Volvo V90 that's shrunk in the wash, as a left-field alternative to an Audi A4 or BMW 3 Series. 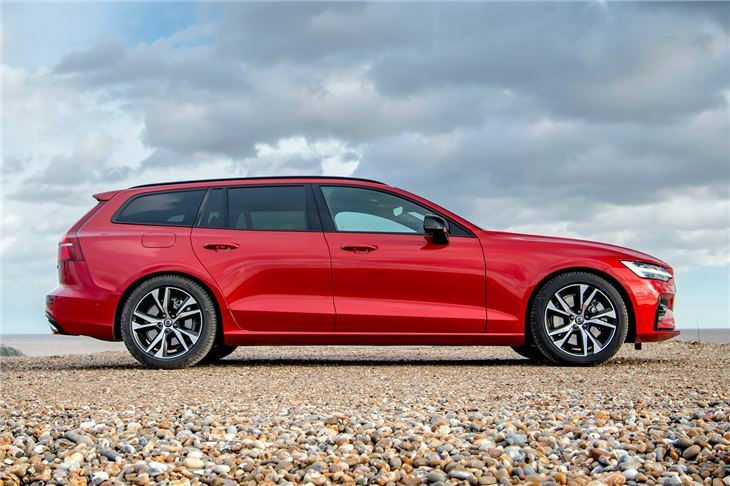 It has the same sense of Scandinavian style - inside and out - as the V90, and it's loaded with technology, including all the safety kit you'd expect in a modern Volvo. There are a number of different variants to reflect your personality, from the sporty R-Design to the gentrified Cross Country. The former is trying a little too hard to be an Audi, while the latter is very good - if expensive. Most buyers will find one of the regular Momentum or Inscription models offer the best compromise. The interior is lovely - a superb contrast of twee materials (you can spec wood if you like) and up-to-date technology. There's a large portrait screen in the centre of the dash on all models. This offers access to the superb infotainment system, with a clear navigation screen which works well on the portrait screen (showing the road ahead rather than fields to your side). 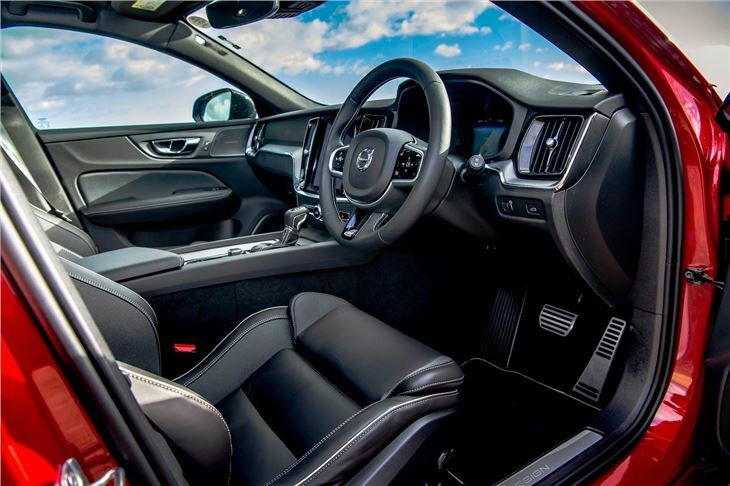 Volvo seats are known for their comfort and you can easily spend long periods of time in the V60 without complaining of any aches or pains. 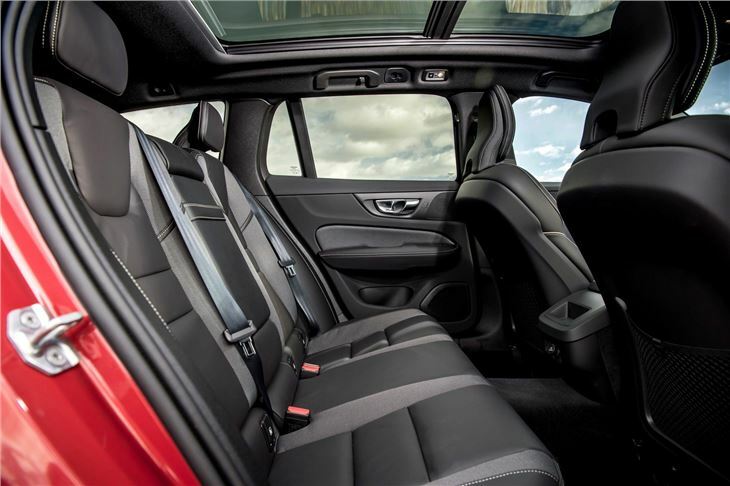 There's a useful amount of space inside, thanks to longer dimensions than rivals - meaning six-footers can squeeze into the rear seats relatively comfortably. At 529 litres, the boot's one of the biggest in its class, while dropping the rear seats increases this to 1441 litres. Every V60 features an electric rear tailgate, while a wide opening with no lip helps when loading bulky items. 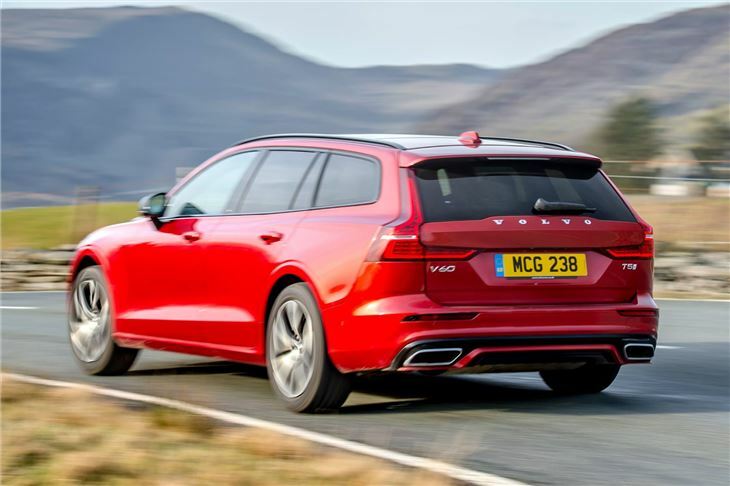 While there is a T5 petrol engine, the majority of buyers will opt for a diesel V60. D3 and D4 diesel engines are refined and provide good fuel economy, although neither are particularly quick. It's not really a car that likes to be hustled along like the BMW 3 Series - the steering's quite light and it's at its best being driven in a relaxed manner. What makes the Volvo V60 really stand out is its safety kit. 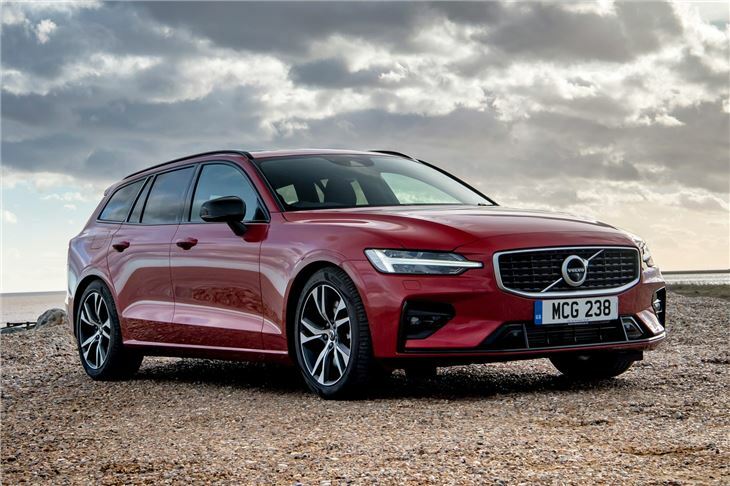 Volvo says that no one should be killed or seriously injured in one of its new cars from 2020, and the V60's standard safety equipment reflects that. This includes Volvo's Pilot Assist autonomous driving technology, which can provide steering inputs at speeds up to around 80mph, as well as accelerate or brake. The semi-autonomous City Safety system is also available, with radar and cameras allowing the V60 to avoid low-speed collisions by automatically applying the brakes. Volvo tells us it's the only system on the market that's capable of recognising pedestrians, cyclists and animals. 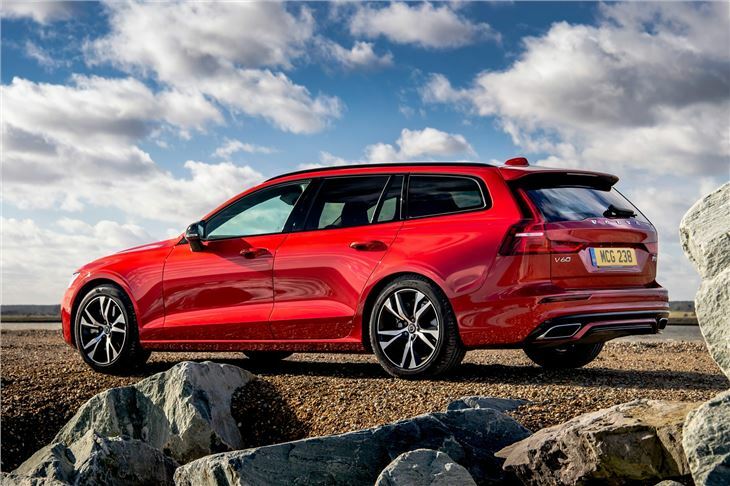 While you're making a statement by buying a Volvo V60 over a German rival, it doesn't represent too much of a compromise. The interior's lovely, with loads of space and it's a relaxing (rather than sporty) drive. Absolutely brilliant, massive step-up from previous model.